Use colors, drawings and symbols copiously. Be as visual as you can, and your brain will thank you. I’ve met many people who don’t even try, with the excuse they’re "not artists". Don’t let that keep you from trying it out!. 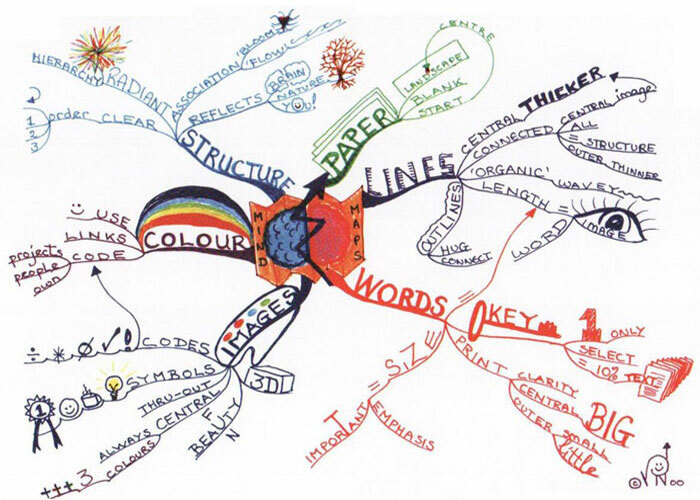 In the meantime, please give mind mapping a chance – try it out. 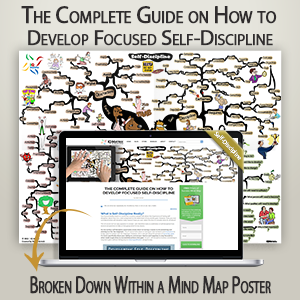 Follow these handy tips and see the results for yourself. Don’t worry too much about doing it the "right" way – just make it fun. 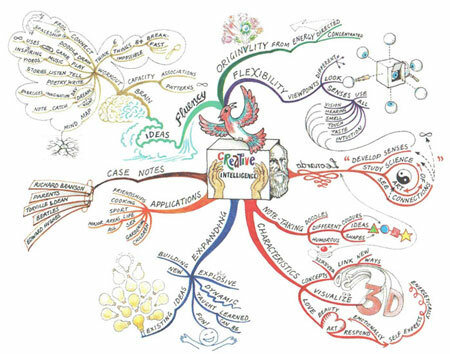 To inspire you, one more great mind map from Buzan Centre Australia on Creative Intelligence.